This month’s cover features detail of a photograph from the SS Panther Arctic Expedition of 1869, led by artist William Bradford and explorer/physician Isaac Israel Hayes. 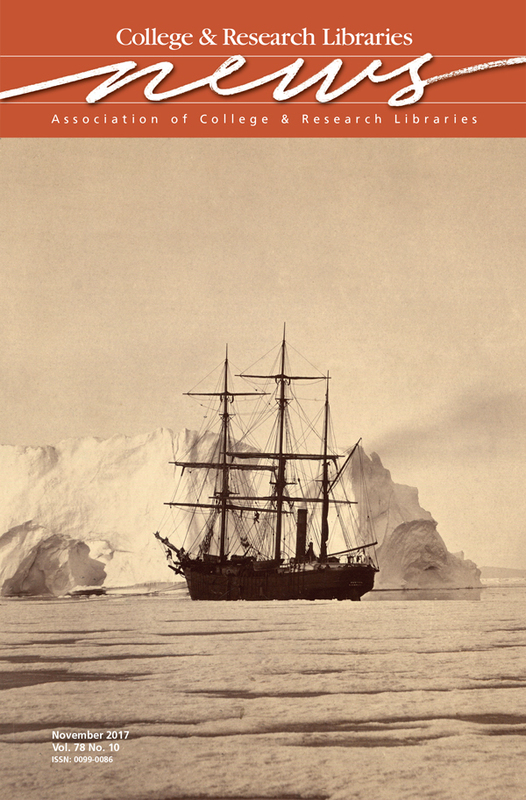 The view of the ship and iceberg in Greenland waters was taken by John Dunmore and George Critcherson. This albumen silver print is part of a remarkable polar exploration collection held by the University of Wisconsin-Milwaukee’s (UWM) American Geographical Society Library (AGSL). Overall, AGSL contains more than 640,000 photographic images as well as 520,000 maps, and, in 2018, will celebrate its 40th anniversary in Milwaukee, after its transferal from New York City. Many of AGSL’s photographs and maps can be found in the UWM Libraries Digital Collections at https://uwm.edu/lib-collections/.